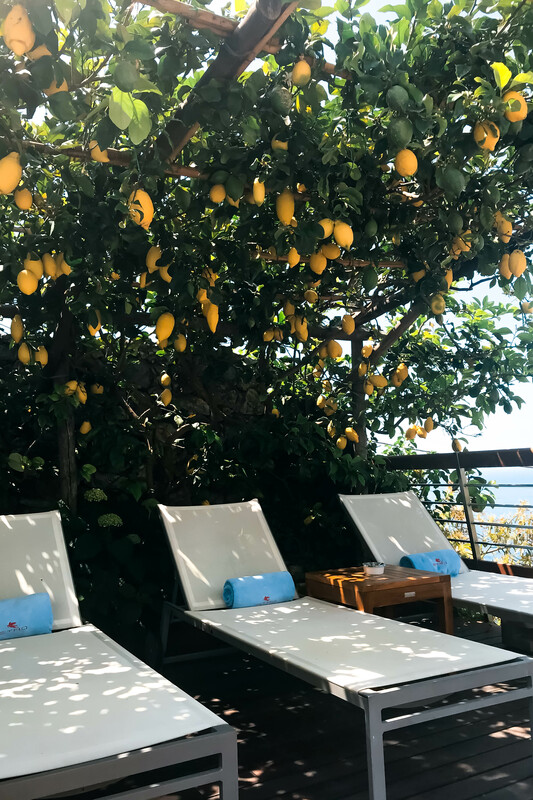 Would you believe me if I told you there was a way to indulge in a 5-star Amalfi Coast vacation minus the commotion and crowds? Yes, it’s possible! 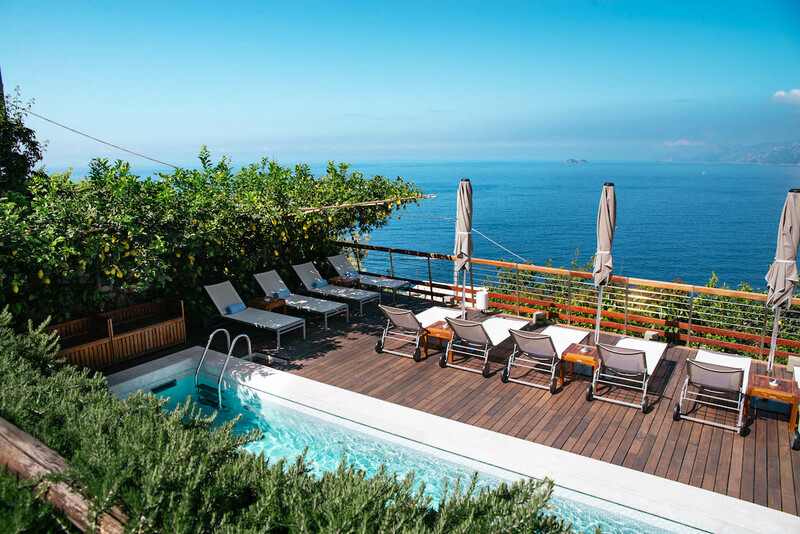 Let me introduce you to Casa Angelina: a luxury boutique hotel located in the sleepy cliffside village of Praiano. 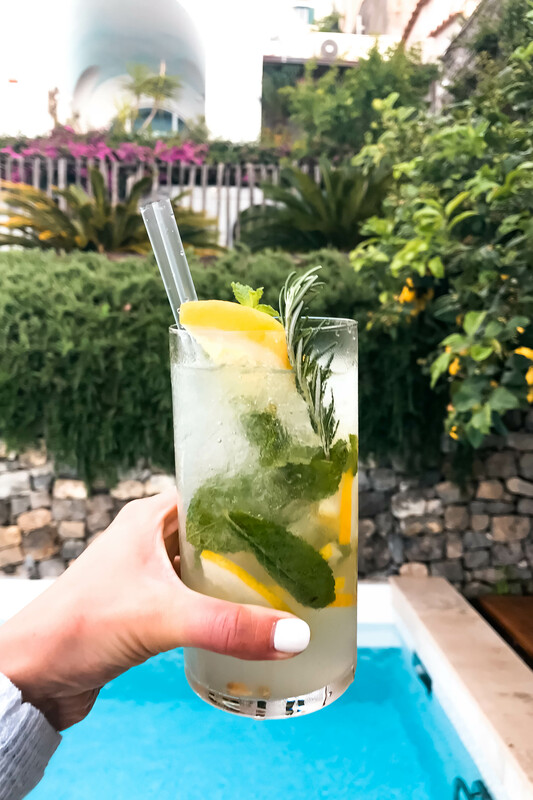 As I promised in my 7 Day Amalfi Coast Itinerary & Travel Guide, I wanted to share a full review of our hotel because we truly loved it that much. There were moments where we felt like we had to pinch ourselves– the views and service were that amazing. Based on all the Instagram photos I posted during our trip you probably thought we were staying in Positano? Nope! 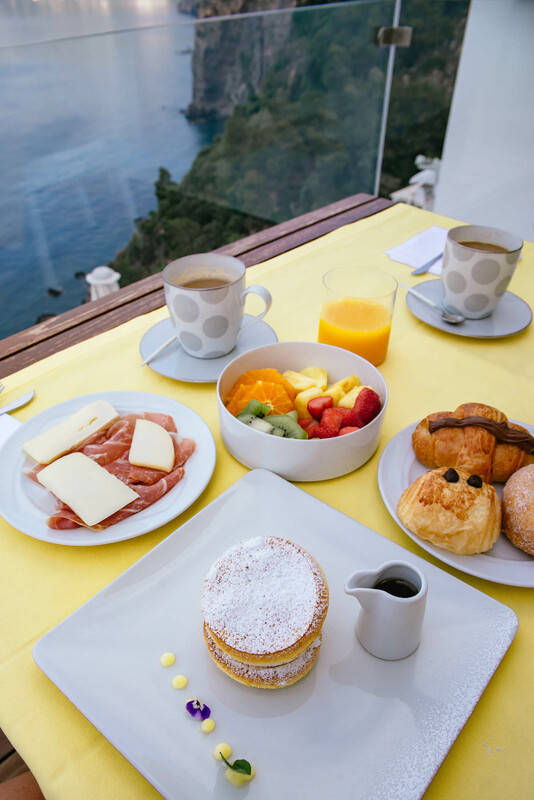 When I first began planning this vacation I felt like we had to stay in Positano and was disappointed to find that many hotels were fully booked or the remaining rooms were incredibly expensive for the quality. I don’t mind splurging on accommodations, but I just couldn’t bring myself to pay upwards of $600 a night for a 3-star quality hotel room even in beautiful Positano. That’s when I discovered the neighboring town of Praiano and the hotel we ended up booking: Casa Angelina. 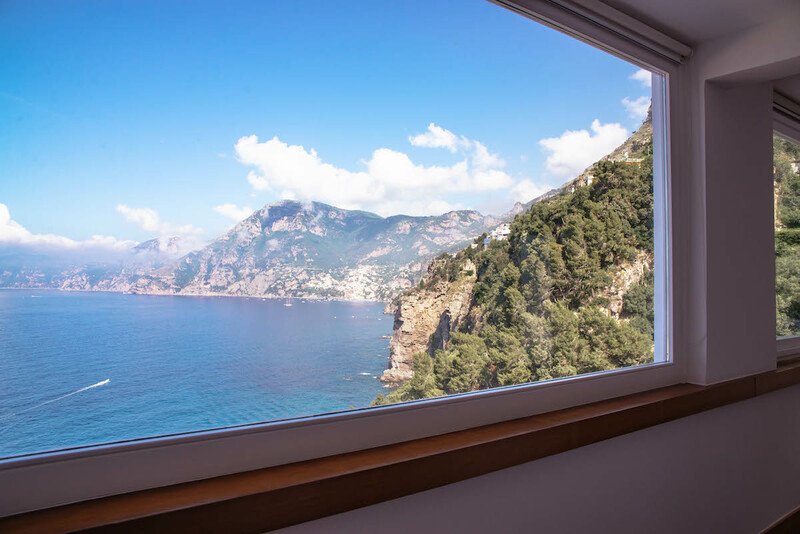 Located just a 10-15 minute drive or water taxi ride from Positano, Praiano is the perfect place to stay if you’re looking for somewhere peaceful and quiet with easy access to Positano. 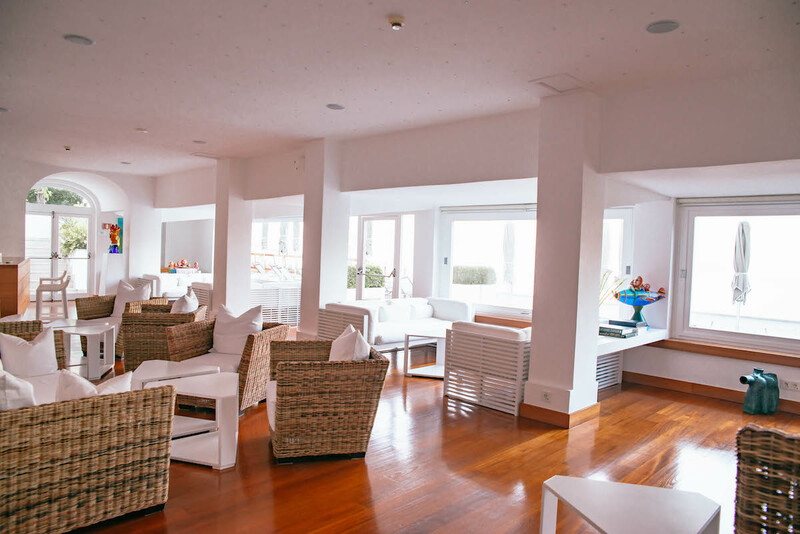 There are a bunch of hotel options in Praiano ranging from modest-priced to ultra high-end like Casa Angelina. 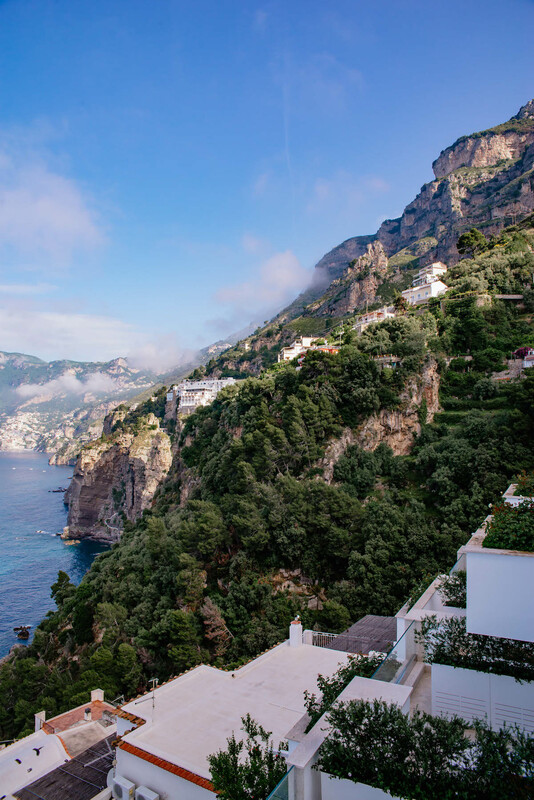 Whereas Positano is very lively and most shops and restaurants are located in a center cluster, Praiano is spread out along the cliffs and has a very laid back vibe. There are a handful of yummy restaurants, some shops, the beautiful San Gennaro Church and a few cliffside beach clubs and bars. You could easily explore the town itself in an hour or two one afternoon. 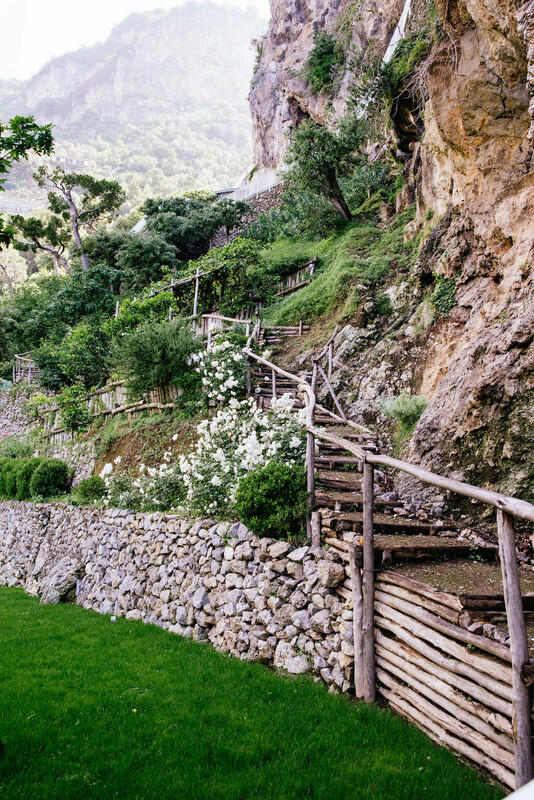 Casa Angelina can be found near the western end of Praiano, almost near the outskirts of Positano. The hotel is located down a winding driveaway right off of the Amalfi Coast Highway and just a short walk from the SITA public bus stop. We thought it was really cool how the hotel was built directly into the cliffside and connected to the rest of the town and Praiano’s famed One Fire Beach by little secret stairways. Praiano also has the best views of Positano. Can you believe it? Waking up every morning I felt like I was still dreaming. 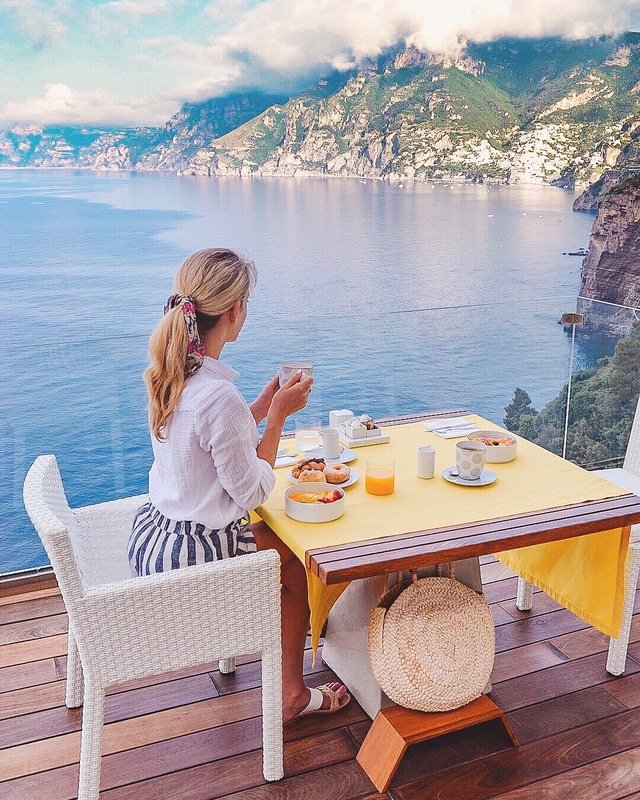 I was a little nervous that maybe it was a mistake not to stay in Positano, but as soon as I stepped into the hotel and saw the beautiful views any anxiety I had instantly disappeared. We stayed in a cozy Romantic Double Room with a front sea view. Our room included a balcony with lounge chairs and table, plus a very spacious open double closet. The room and bathroom were small, but coming from New York we’re used to tight spaces so we didn’t mind the coziness. As soon you can see the room decor was very crisp and contemporary. 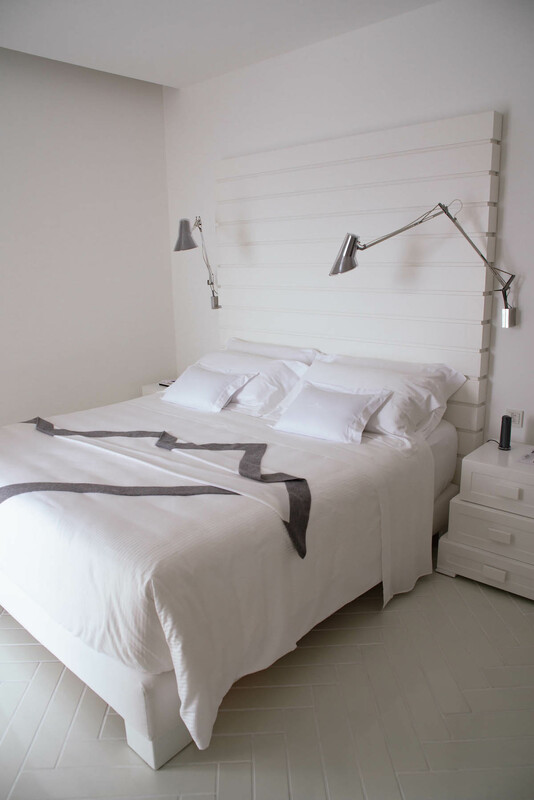 It was also packed with modern amenities– an iPad, TV, ultra luxe linens and a spa-worthy bathroom. We loved our room because it was so comfortable and quiet. Even thought the hotel was at full-capacity were never heard another guest! Casa Angelina is by far the most expensive hotel we’ve ever stayed at. We paid 720 Euro + 10% VAT per night for our room, which included the complimentary buffet breakfast every morning. I believe there are a few less expensive guest room options available, however I’m not sure those rooms include a view and balcony (totally worth it in my opinion.) 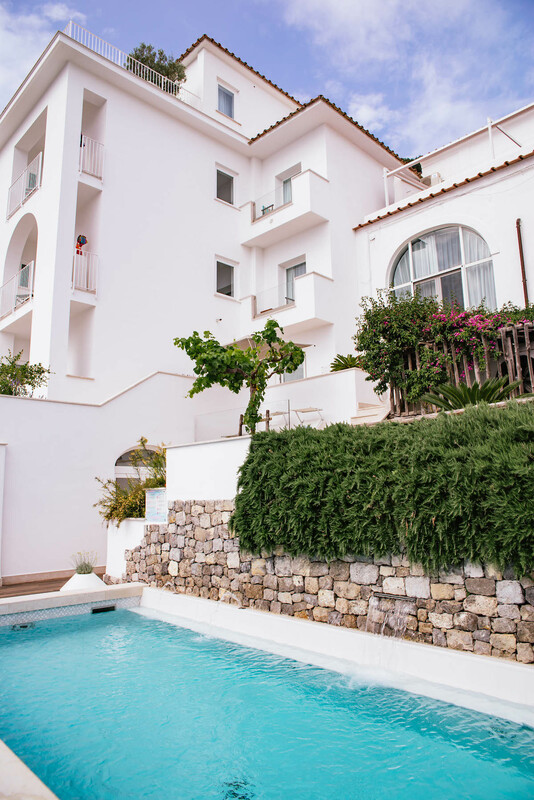 We totally could’ve stayed at a less expensive hotel in Praiano, but I honestly just fell in love with Casa Angelina once I saw photos and started reading the reviews. 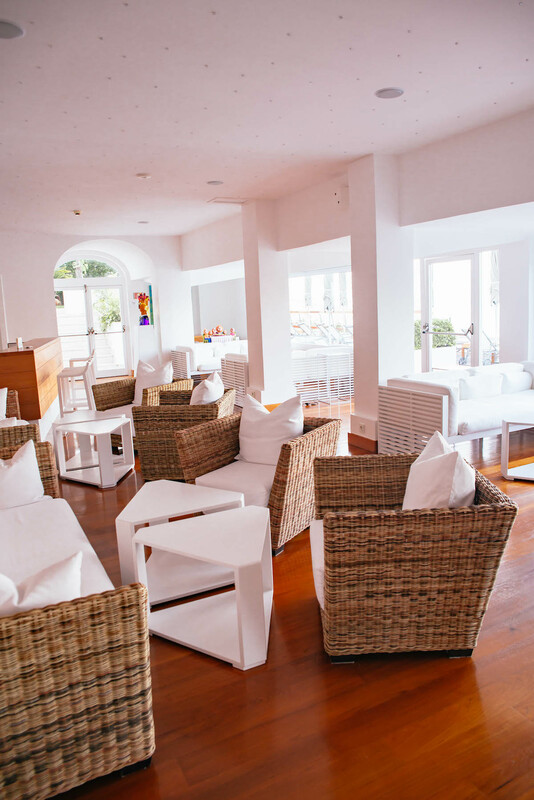 Casa Angelina is also a member of Small Luxury Hotels of the World— a collection of 520 small, independent hotels that have a proven track record of excellence and exclusivity. Knowing Casa Angelina was a SLH property gave us a big sense of relief when we went to pull the trigger on booking our stay. 5-Star Service & Concierge. At Casa Angelina you’re not just paying for a room in a beautiful hotel. It’s really a full experience in complete tranquility. The property is completely immaculate and so well cared for by the team. The service was out-of-this-world (as my grandma would say:P) and the hotel team made sure you were taken care of the moment you stepped inside to the moment you sadly had to depart. Any request or question would be immediately met with a range of recommendations and offers to help. We didn’t make many dinner reservations in advance, but this was no issue because the Casa Angelina team was able to help us with everything on-site. Even the housekeeping went above and beyond tidying our room every day– we’d come back from a day at the beach to find all our clothing folded and organized back in the drawers and hung in the closet! Guest Shuttle To/From Positano. The complimentary shuttle back and forth to Positano was the cherry on top during our stay. There is a public bus that runs on the Amalfi Coast Highway, but honestly every time I saw it drive by it looked so full that people even had to pack in and stand. We have to use public transportation all the time at home in New York and honestly just did not want to even deal with that in a foreign country on vacation. Car or water taxis were an easy option too, but pricey. Just 10 minutes one way is upwards of 30 Euros. Hotel shuttle FTW! Extravagant Complimentary Buffet Breakfast. I’ve never experienced such a lavish and decadent hotel breakfast. 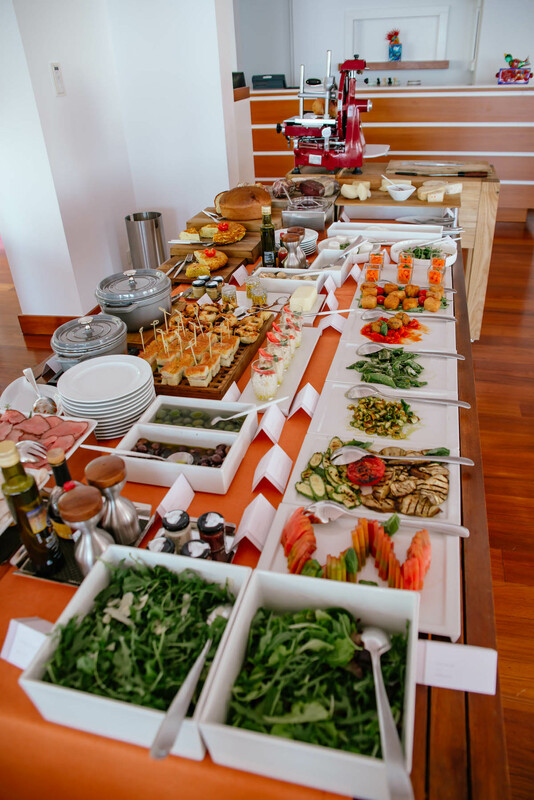 Every morning was a feast of pastries, fresh sliced prosciutto, cheese, fruit and other breakfast delicacies. There was a made-to-order menu as well complete with omelettes, pancakes and fresh-squeezed juices at no extra charge. Peaceful Location + Adults-Only Property. Casa Angelina is definitely geared towards couples looking for an intimate luxury getaway. Based on our own snooping it seemed like most of the other guests were either younger couples on their honeymoon or older folks looking for an upscale vacation. It’s also important to note Casa Angelina is an adults-only property and do not allow any children under the age of 12. I don’t normally mind being around kids on vacation, but after staying there and experience the tranquil environment I could see how crying babies or little kids running around could instantly change the mood of the entire property. Amazing Views. The VIEWS! Ugh, so good. 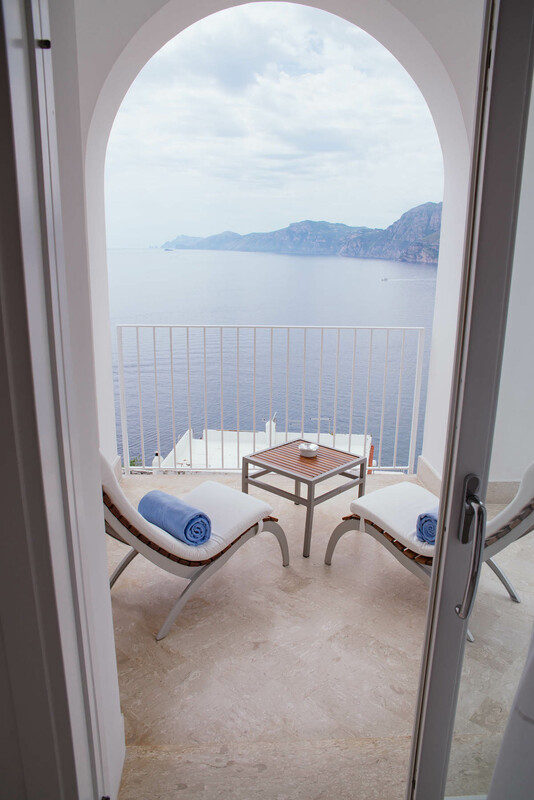 The high cliffside location is perfect for taking in the beauty of Positano, Capri and the surrounding ocean views. Distance From Positano. After spending a busy afternoon traipsing around hot and crowded Positano, we truly appreciated coming back to the serenity of Praiano. Sure, it could’ve been nice to actually be walking distance from all our dinner reservations, but the 5-star quality of Casa Angelina totally made up for anything we might’ve missed out on not staying in Positano. Expensive. I mean, there’s no way to sugarcoat it. If you stay at Casa Angelina you’re going to spend some serious money. Everything from the rooms to the a la carte cocktails served poolside (20 Euros+) were priced highly. 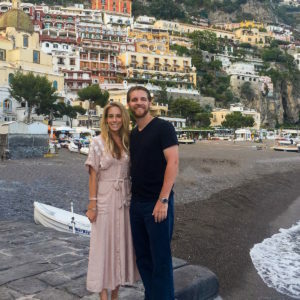 I wasn’t surprised at all by the amount of honeymooners– it’s definitely the type of hotel you go to if you’re looking for a one-time exclusive ultra-luxury experience. Wow, it is beautiful there! 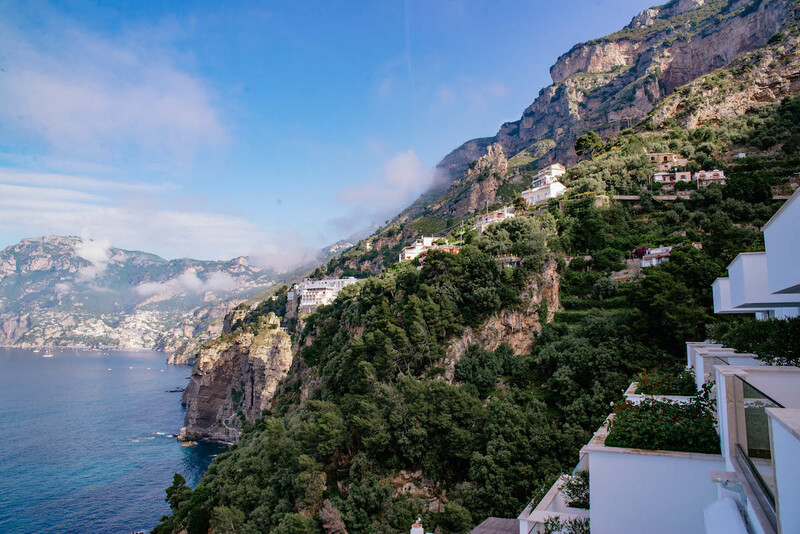 We are hoping to go to the Amalfi Coast, so I am for sure bookmarking this post! 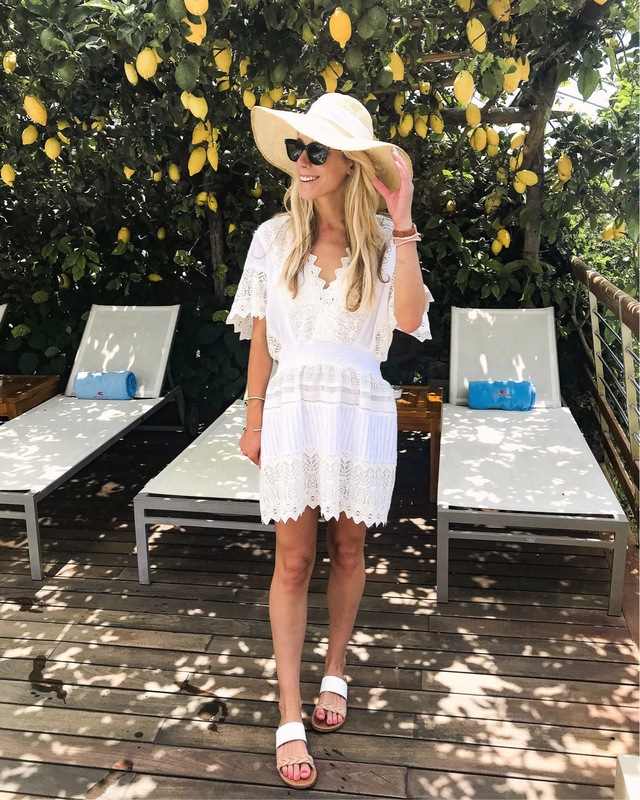 I found your blog just a couple of days ago when I googled tips for the Hamptons. First, my husband and I are in our late 20s but so low key so thanks for tipping away from Montauk! Second, We are staying at this hotel on our upcoming trip and your post has me so excited now! I’m starting to plan our trip to Italy and I’ve saved this hotel on my Google Maps for a potential stay. It looks lively and is right up our alley! Thanks for the tips and recommendations! Just gorgeous! Always a relaxing quick getaway reading your posts. Loved your info on the Amalfi coast. Where did you stay in Ischia? I thought I had seen it in your blog but am having trouble finding a hotel review. Thanks for your help.